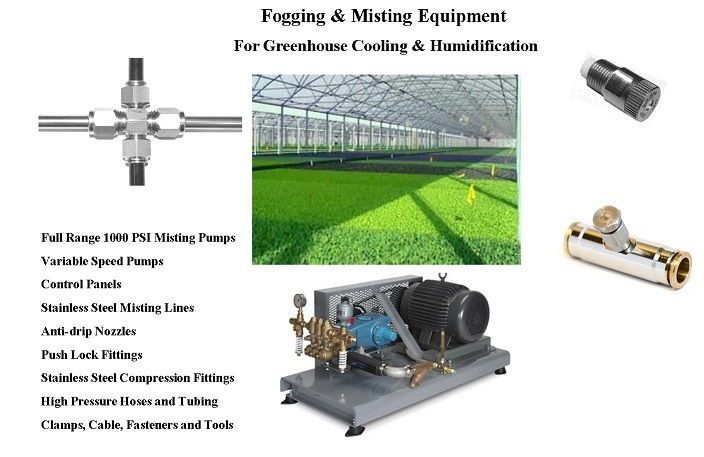 Aero Mist offers a variety of misting systems to cool/humidify your greenhouse. We have systems ranging from small greenhouses to large nurseries. The high pressure misting systems atomize the water into small micron size droplets for thorough dispersion, cooling and humidifying the entire greenhouse creating the optimum growing environment.